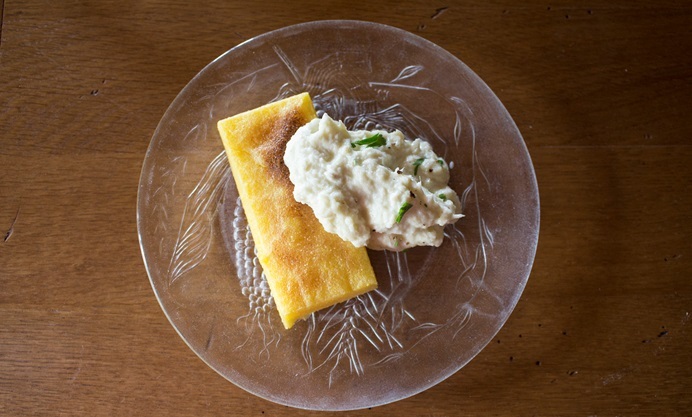 Luca Marchiori shares his recipe for baccalà mantecato, a classic Venetian dish. 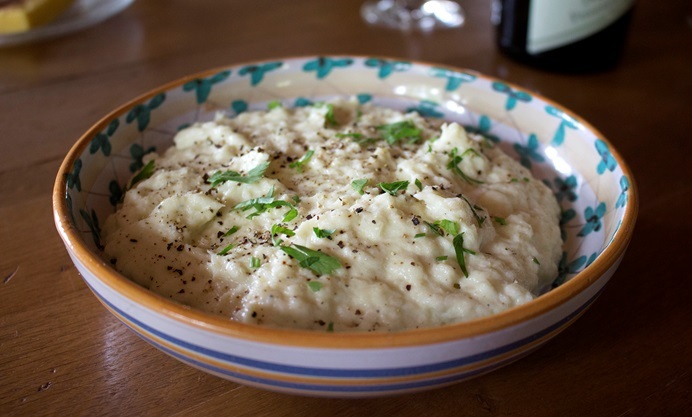 Soaked salt cod is mashed with extra virgin olive oil until smooth, light and wonderfully fluffy. 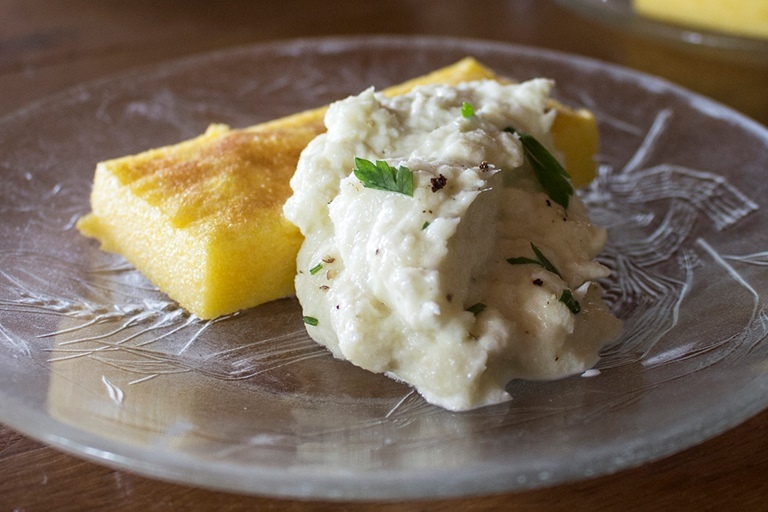 Luca serves it with toasted polenta, the traditional Baccalà mantecato accompaniment, but you could also serve it with grilled bread. Baccalà mantecato is one of the most iconic dishes of Venetian cuisine. Back in the days when the Venetian Republic was a major European trading hub, huge amounts of preserved fish found their way from the icy north to the city in the lagoon. In Italy, the term baccalà usually refers to salt cod, however in Venice it’s used to mean Norwegian stockfish. This recipe works equally well with either. If you get the dried variety you will have to soak it in water for three or four days to hydrate it, changing the water occasionally. Luckily, you can usually buy it ready hydrated. It’s important to use good quality mild extra virgin olive oil for this dish as you will taste it. Anything else will be too bitter. Originally this recipe was made using a pestle and mortar rather than a food processor and some purists still use one, although it takes a lot longer and a lot more effort. 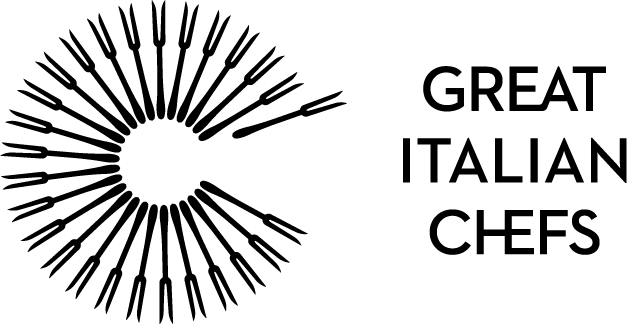 The finished dish, which has a light and fluffy consistency, is usually served with toasted polenta, still the staple carbohydrate in the Veneto and other northern regions. You can use the yellow or white varieties, but I think the dish is more attractive with the yellow. Italians nowadays mostly use instant polenta which takes a lot less stirring than the old type.